AUV-IITB comprises of highly enthusiastic and hard working technocrats ranging from bright-eyed freshmen to driven senior undergraduates and tech-experienced post-graduates spanning various branches of engineering like Mechanical, Electrical, Software, Aerospace, Material Science and Civil at Indian Institute of Technology Bombay. The team works towards participating at AUVSI Robosub Competition, which is held annually in July at San Diego, California. The competition is a platform for students to display their skills in underwater robotics and build a connection with industries working along similar verticals. The competition demands designing and manufacturing of an autonomous underwater vehicle that can perform predefined tasks. This draws upon expertise of the areas of engineering provided by multifaceted team.Currently we are a 22 membered team developing cutting edge technology for Autonomous Underwater Vehicles (AUV).The development of an AUV is a year long process involving design, manufacturing, assembly, testing, integration and competition preparation. In order to accelerate the development of MATSYA our team is structured into three sub divisions viz Mechanical, Electrical and Software.Every year the team puts in 30,000 man hours for the development and integration of our AUV MATSYA. The Electrical Sub-Division is responsible for handling the electrical requirements of the Sensors, Thrusters, On-Boards Computer, Cameras and much much more. Battery and Power Management: Dedicated Boards regulate the flow of power across the vehicle. Crucial Tasks such as Level Conversion, Battery Merging and Emergency precautions are undertaken. This is truly the ‘Powerhouse’ of the vehicle. Communication: The electrical sub-division is responsible for the communications protocol on board. We act as an interface between the code written by our friends in the Software Team and the external environment and vehicle developed by our Mechanical Sub-division. From controlling the thrusters, to firing torpedos and dropping markers, we do it all! We make the vehicle as interactive and alive as possible. Sensor Setup and Interfacing: Being an amazing AUV requires some exciting sensors to be placed on board. We provide the interface to these sensors and ensure that they work as required. Engineering is Solving Problems and Mechanical Subdivision works specifically on bringing all possible mechanical advancements in the vehicle to solve a problem. Making waterproof Enclosures for Sensors and electronics, designing the frame of vehicle and implementation of actuation system to run torpedos, markers and gripper, all comes under Mechanical Subdivision. Every problem is first analyzed thoroughly to see how mechanical devices or subsystems can be introduced to solve that problem. Then, with the help of Computer-aided design, model is made and analysed with softwares such as Ansys and Solidworks. Redesigning is done until we get proper results by Analysis. The Mechanical Subdivision develops and tests the prototypes of designed parts to ensure that everything fits to solve the problem without creating a new one. In-house manufacturing is done by the facilities provided by IIT Bombay to ensure no defects. Overall, This Subdivision looks after the rigidity, compactness, Robustness of Mechanical parts and Dynamics of the vehicle. The Software Subdivision is the subdivision that writes over 15,000 lines of code to make the AUV Autonomous! They are the ones who are responsible for making the AUV capable of completing a certain task underwater. They also simulate the tasks and environment in Gazebo software to make the coding efficient. Their software stack is written majorly in C, C++ and Python.The main packages in the software stack include drivers, localisation, controller, navigator, simulator, state machine, mission planner, vision and acoustics, all of which have been written from scratch with the help of libraries such ROS for inter process communication and OpenCV for image processing. All these packages combined give the autonomy to the vehicle, making it capable of taking its own decisions.The overall architecture of the stack is highly object oriented and majorly independent of the vehicles. Their code is highly professional, with inbuilt tests and extensive documentation. 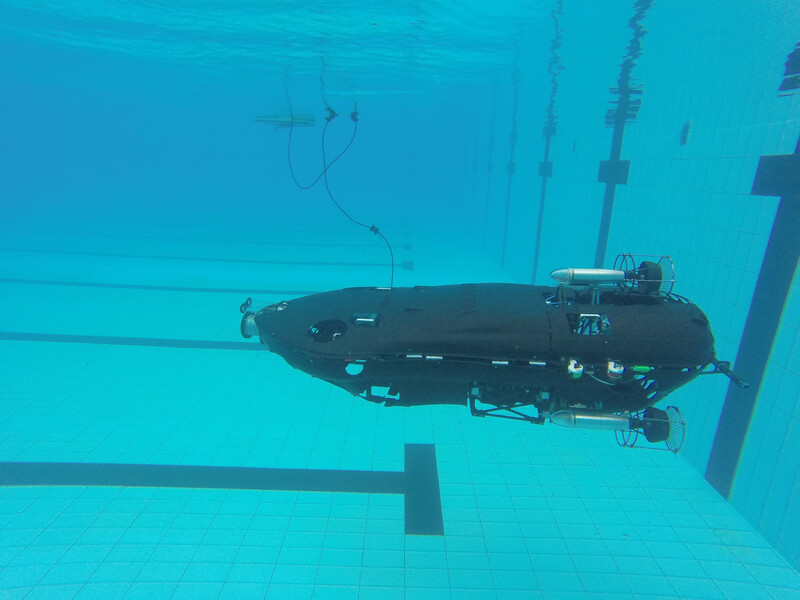 Apart from coding, another important task for the subdivision is the real life testing, where they physically test their code on the vehicle underwater. The main aim of software subdivision is to write software, that is generic and error free, in order to get the vehicles working at their full potential. The Business Subdivision also known as the Non-Technical Subdivision where six sub departments namely Events, Design, Marketing, Media, PR and Web form its backbone.The aim of Business Team is to inform the public, prospective customers, investors, partners, employees, and other stakeholders and ultimately persuade them to maintain a positive or favorable view about the AUV. 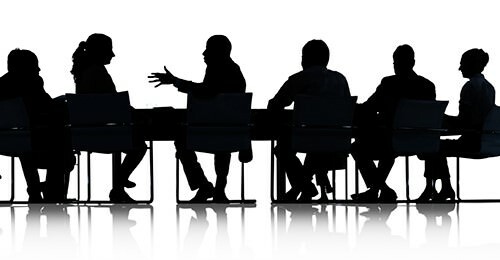 We establish and maintain relationships with AUV target audience, the media, relevant trade media, and other opinion leaders. Our common responsibilities include designing communications campaigns, writing news release and other content for news, working with the press, arranging interviews for company spokespeople, acting as an AUV's spokesperson, media interviews and speeches, writing website and social media content, managing AUV’S reputation, managing internal communications, and marketing activities like awareness about AUV and competitions in which we participate and related event management. .
We participate in two competitions viz. 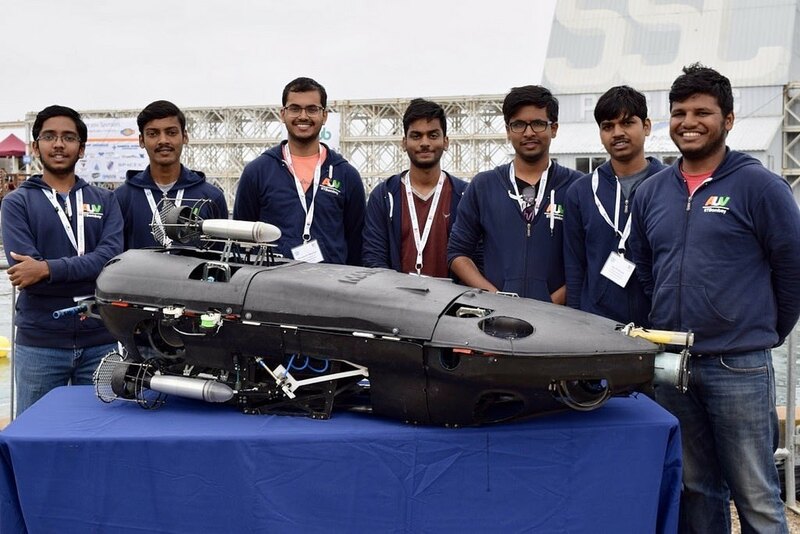 1.The International Robosub Competition organized by the the Association for Unmanned Vehicle System International (AUVSI) cosponsored by US Office of Naval Research. 2.The National SAVe Competition organized by National Institute of Technology under the Ministry of Earth Sciences, along with IEEE OES. The goal of both the competitions is to develop an AUV capable of completing realistic missions underwater. The tasks are designed so as to simulate the real -life problems faced by the navy during rescue missions and underwater exploration. 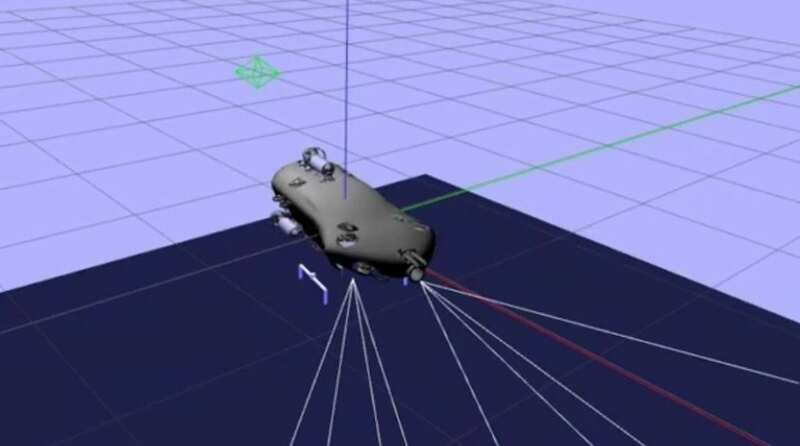 Separate hulls for Electronics, Batteries, Cameras, IMU and DVL. Feedback Control : Visual, Inertial, Pressure, DVL and Acoustic. 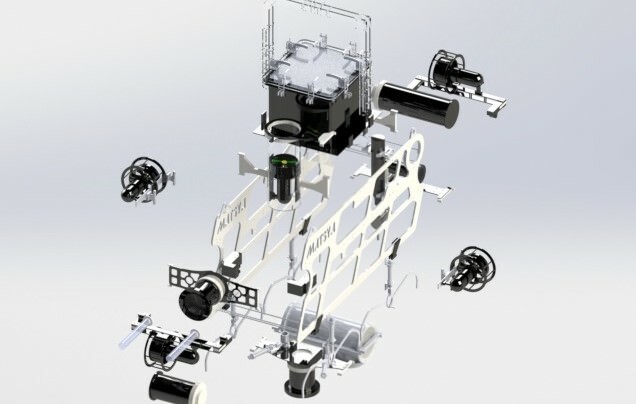 Separate hulls for Electronics, Batteries, IMU and Cameras. Assembly of Six thrusters, Markers and Torpedos. Feedback Control : Visual, Inertial, Pressure and Acoustic. Separate hulls for Electronics, Batteries, Camera and Hydrophones. One Hull for Electronics, Batteries and Camera. 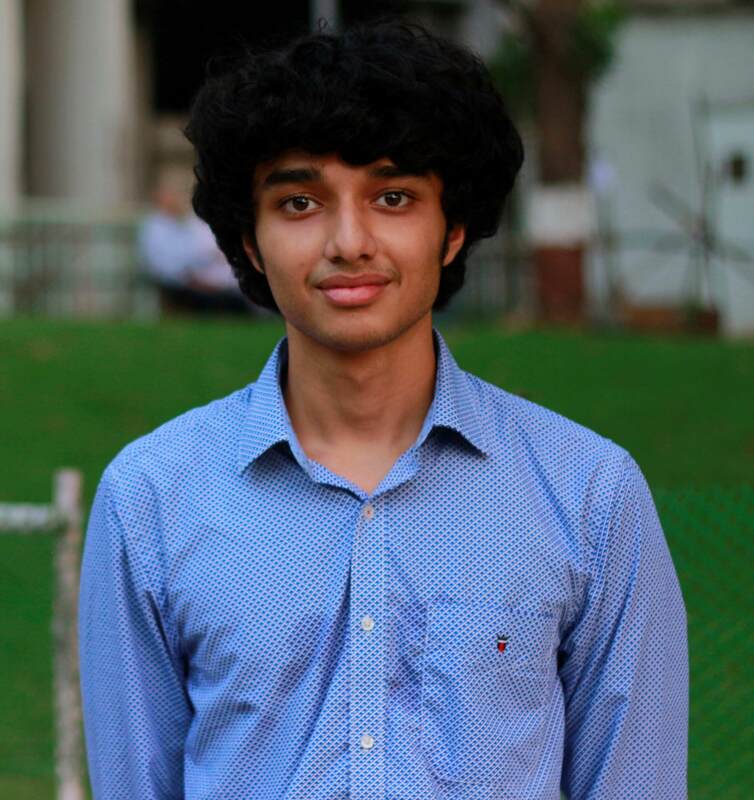 We post regularly to update on our progress and what our team is upto.